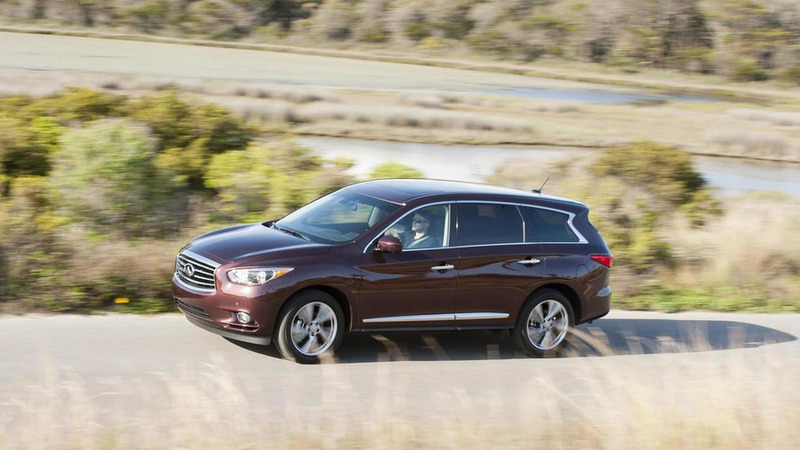 Infiniti has announced pricing details for the 2014MY QX60 and QX70 sold on the U.S. market. You probably have heard by now that Infiniti has decided to implement a new nomenclature for the 2014 model year. As a result, the former JX model will be known from now on as the QX60 while the FX will wear the QX70 moniker. The QX60 can be had with a V6 3.5-liter engine from 41,550 USD in the front-wheel drive guise or from 42,950 USD once you opt for the AWD setup. All 2014 QX60 models now feature as standard an auto-dimming rearview mirror with HomeLink Universal Transceiver. 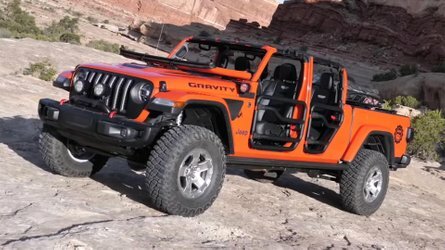 The Premium Package has been divided into Premium and Premium Plus packages, while the Deluxe Touring Package now has power-folding third-row seats. 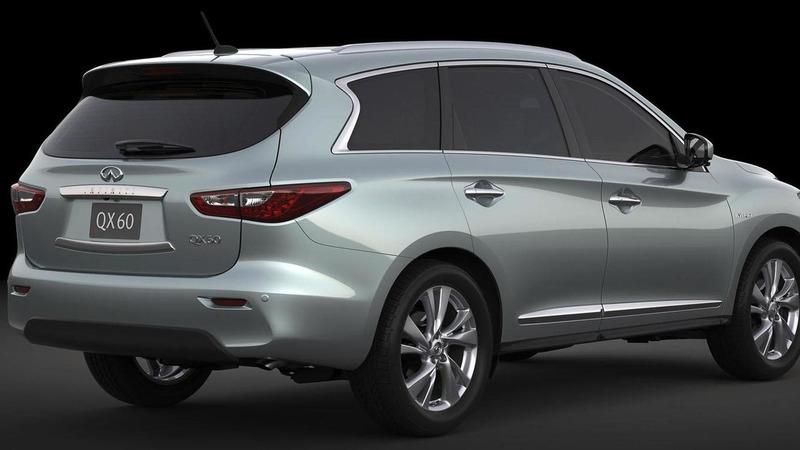 Later on in the 2014 model year Infiniti will launch a hybrid QX60 which will borrow Nissan Pathfinder Hybrid's powertrain that has a 4-cylinder, 2.5-liter engine, an electric motor, lithium-ion battery and a CVT. 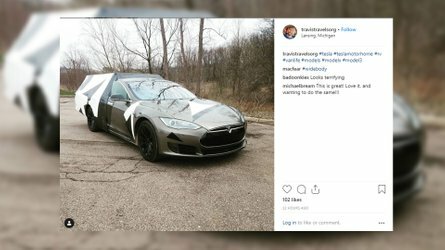 Infiniti says the combined output will be of around 250 bhp (186 kW) and 329 Nm (243 lb-ft) while doing 26 mpg US (31.2 mpg UK or 9 liters / 100 km). 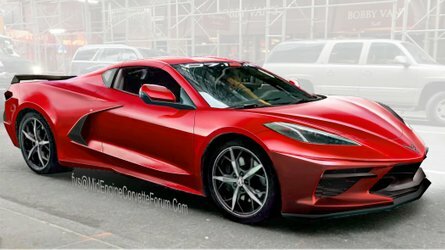 This model will be approximately 3,000 USD more expensive than the base QX60. 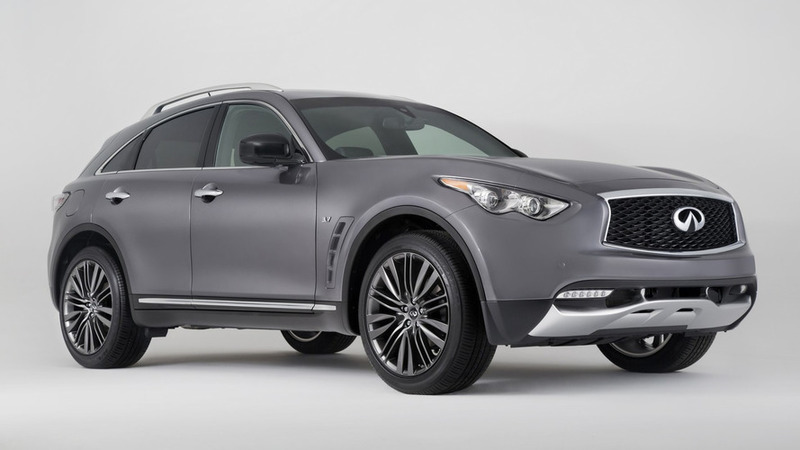 The 2014 QX70 has a starting price of 44,950 USD for the rear-wheel drive model fitted with a V6 3.7-liter engine. 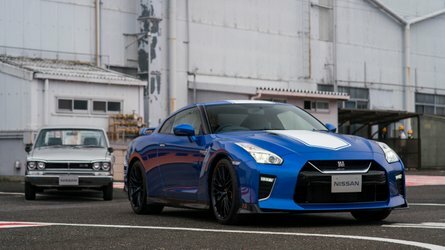 This engine is also offered with an all-wheel drive setup which increases price tag to 46,400 USD. The V8 5.0-liter mill is available exclusively with an AWD setup from 61,500 USD. These prices do not include the additional 995 USD destination charges.